I was a tourist today. A super tourist even. I’m kind of proud and kind of ashamed at the same time. 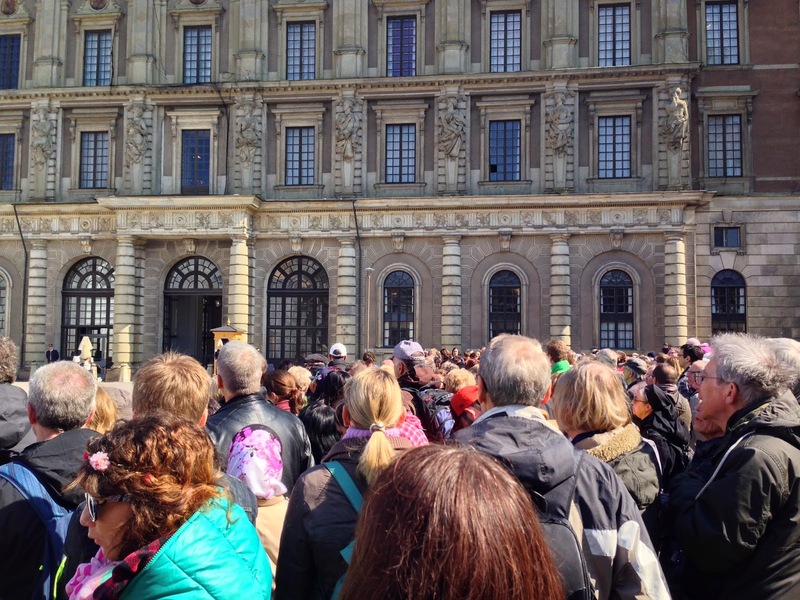 Because for two hours today, I stood outside of the Royal Palace in Stockholm and celebrated the King of Sweden’s birthday. Turns out that’s a thing people do in countries that still have monarchies. Today, the king turned 69. And because he happens to live in a country that didn’t chop off the heads of the royals a couple of hundred years ago, he gets to live in a castle and come outside and stand awkwardly on a podium for half an hour in front of crowds of people. It was a fascinating two hours. Fascinating and boring. Again with those confusing emotions. Fascinating because the whole thing is so foreign to someone who grew up in the US. Fascinating because of the ritualistic aspects, the marching, the uniforms, the chants, the music, the bodyguards. Boring because I stood for two hours in the sun, in a crowd of people, on cobblestones, to stare at some dude who just happened to be born to the right people. Or wrong people. I suppose it depends on your views. The crowd was greeted by an old guy in uniform announcing the program. There was going to be a lot of songs and marching. The king would come out. Twice. The second time he would stand on a podium and even accept flowers from the children. The crowd was invited to join in wishing the king a happy birthday with four hurrahs. But no hip hip, we were reminded. Just so you know. Interesting to note, there was a whole lot of German being spoken. Some Russian. Some English. Not a whole lot of Swedish. This was clearly a tourist attraction. So the program, given entirely in Swedish, probably didn’t convey quite as much information as the old man had hoped. at a bar enjoying the sunshine and opening another bottle of rosé. There was, of course, the usual changing of the guard. Men (and they were almost all men) came marching in wearing silly hats. They were in uniform. They were playing music. Three songs. Two that were stodgy and expected and one that was not. Avicii’s “Hey Brother” wrapped up the set. Avicii is a Swedish DJ for those of you not hip to the young ‘uns these days. I spent a lot of time staring at the back of a head. That doesn’t happen to me all that often. I looked around and was staring at the top of heads. And then looked ahead (see what I did there?) and stared right into the back of a head. I had, apparently, chosen to stand behind the only person in the crowd who was taller than me. for the Royal Guard from the king's personal collection. Trust me. I know things. Which was unfortunate because there was a lot of standing. And some marching. And then the king and his son came out and did some saluting. And then there was more standing. And marching. And some more music. This time with a version of Swedish House Mafia’s “Don’t You Worry Child.” And then it got weird. As the silly uniforms were marching back and forth, a tiny little podium had been erected in the middle of the square. It looked like an Olympic podium, except that they forgot the spots for the silver and bronze medal winners. So the king won gold. And everyone else lost. Which, I suppose, is pretty accurate. He was preceded by men in dark suits, close-cropped hair, and earpieces. The coast was clear and so he stepped right up and stood there, awkwardly and in full uniform, for a long time. A safe distance from the peasants. Subjects. Citizens. Whatever. See him there? In the back? He's the lone medalist. Short little fella, isn't he? All the while, most of his family stood to his left. The picture of look-they’re-just-like-us happiness. Little kids squirmed. Princes and princesses danced to the music. Twenty-one guns were fired. A crowd of hundreds tried to hurrah the old man four times, with varying degrees of success. Small children had meltdowns and were handed off to some sort of matronly caregiver. You know, the usual father/grandfather birthday setup. Then children were allowed to parade up to the king and hand him flowers. Of course, the podium really hammered home the already obvious power dynamics. Now he was towering over his subjects as they approached him. The line started with three young girls, all blonde and dressed in a Swedish folk costume, prancing right up to there and smiling for the press corps. Then followed a long line of children, some accompanied by their parents (one of whom curtsied for the king). Finally, after nearly two armfuls of flowers had been delivered, the king stepped down from his podium. And then there was more marching. And music. And some saluting. And finally, finally, it was all over. 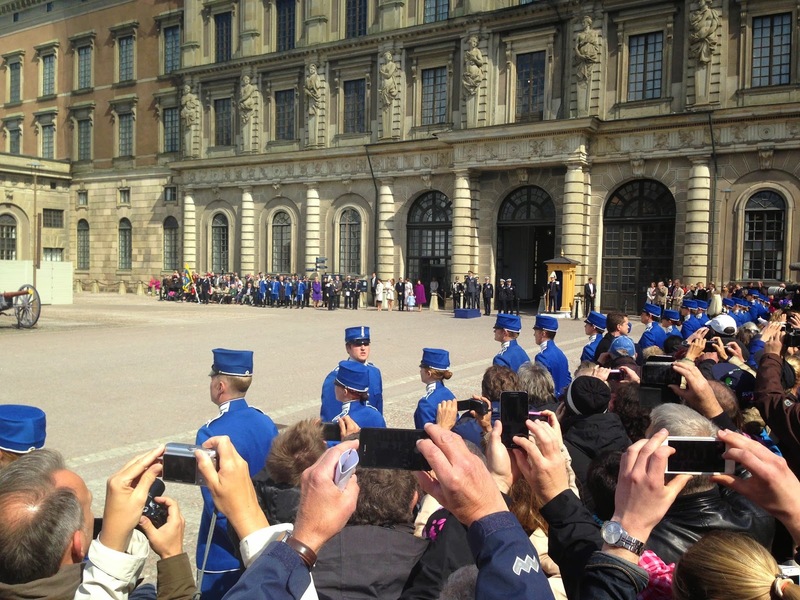 As the king turned to walk into his castle, two of the few Swedish speakers in the crowd began chatting. It’s not strange that a person would end up assuming they are better than everyone else when this happens on your birthday. And there it is. The fascinating thing about Swedish royalty. In a country that is known for jantelagen and equality and not reminding people that you’re better than them, there is still a group of people who have their lives subsidized by tax payers simply because they were born. I used to like the monarchy. I used to like to look at it as a sort of living history. A foreign and exciting remnant of a bygone era. Now it just seems silly. And expensive. Welcome to Sweden. And a royal waste of taxes. Oh, I dunno, Hairy. I rather lean toward (perhaps a less expensive) monarchy. It seems refreshing to have someone as head of state who is born, raised, and trained to be such, rather than an ephemeral politician (and that's the politest adjective I can conjure at the moment). I no big fan of the current monarch, but his successor seems quite a wonderful prospect. But what do they actually do? For 60 some million SEK and a couple of castles they make appearances, something they've been trained to do. And I imagine there are plenty of other wonderful prospects who are living in Sweden and just happened to be born to the wrong family. It just seems like every year Sweden is paying millions for a mascot. 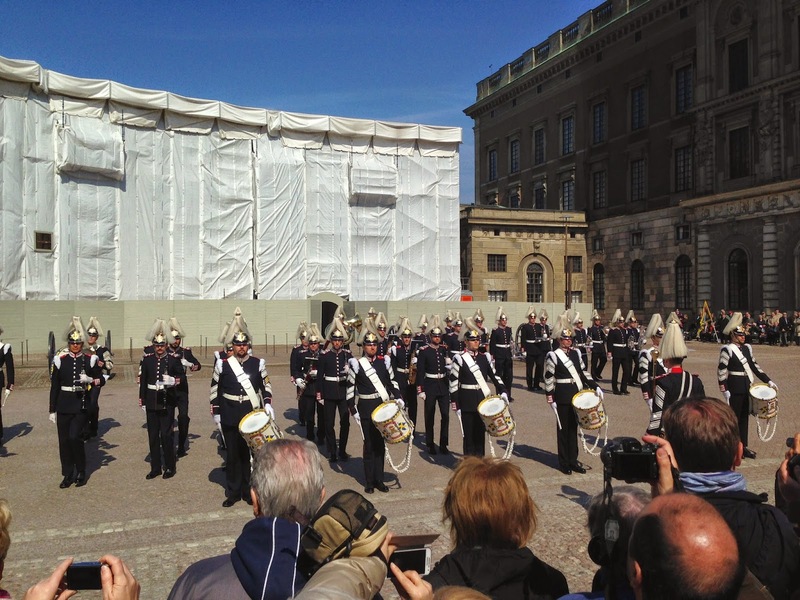 First: Carl-Gustaf and the Royal Family are a big part of the "swedish brand". They bring in way more in trade and tourism than the trivial 60 million kronor in apanage. Secondly we don't have a king for economic reasons. In order for any society to succeed there needs to be unity and a feeling of belong together. As a symbol for our country and for uniting people across political and cultural borders the King will always be better than Fredrik Reinfeldt or Göran Persson will ever be*. This is especially important in times of crisis and big change in society. For instance look at the speech he held after the Tsunami-catastrophe 2004.